Next Open Skate at The Slayground! Cost is $10 cash (or $15 credit card). 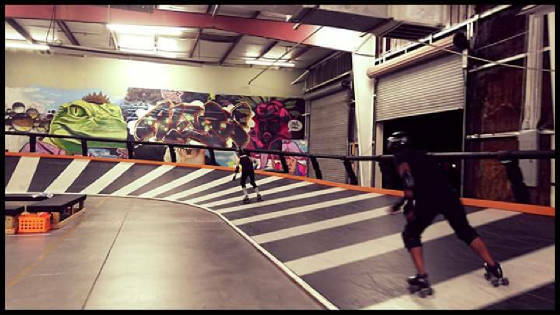 Skate for an hour or skate all day! Open 11am-3pm! No banked track experience necessary! Skaters must meet WFTDA minimum skills or the equivalent of to skate the track. WFTDA insurance does not cover banked track skating. All safety gear is required: helmet, mouth guard, wrist, elbow and knee pads. Bring a reusable water bottle, we do have a water fountain.